Cheryl Hagedorn over at Blooking Central (a marvelous blog charting blook development, by the way) has posted up an article stating the definition of blook she agrees with. With the advent of the blog people started to publish books serialized on their blogs. Chapters are published one by one as blog posts, and readers can then subscribe to the blook via an RSS feed, tag it and comment on it. Less than a month ago Reuters reported that blook was “among the most annoying words that have been spawned by the Internet.” So include it or not, love it or not, use it correctly. Please. This view of what is (and isn’t) a blook irks me. Lulu has every right to define a blook to suit its Blooker competition – but by and large the Blooker does not have the influence (yet) into defining what is and isn’t a blook. A book published (in dead tree form) that is inspired by a blog. 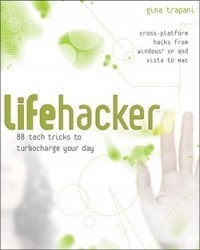 That is to say I regard Lifehacker: 88 Tech Tricks to Turbocharge Your Day as a blook, and Lifehacker itself as a blog. James at Progression also has a post on what is (and isn’t) blog fiction – but blog fiction is a term that is perhaps more suited than blook for what I’m trying to cover in Novelr. Nevertheless I have used blook (not only because it’s easier to identify with, but also because it’s just so horrid to readers), and it’s going to stick. I may have made some mistakes in calling blog fiction blooks (The City Desk is an example) – but I’ll seek to remedy that. Blook authors, readers, interested publishers? Onward. Will You Read My Blook After I’m Dead?